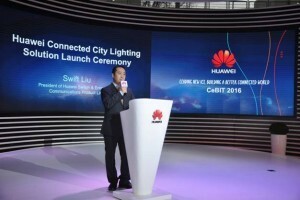 Today at CeBIT 2016, Huawei debuted its Connected City Lighting Solution, the industry’s first Internet of Things (IoT) lighting solution with multi-level intelligent control. Huawei Connected City Lighting Solutionconnects street lamps to the IoT and adopts a GIS-based management system, enabling cities to enhance the control and performance of every street lamp. The solution provides municipal managers with status information on each lamp, in every street and enablesprecise control of on-off switches and brightness of individual street lamps, allowing on-demand lighting and a reduction in energy consumption by up to 80%. Wu Chou, CTO of Huawei Switch and Enterprise Communications Product Line, debuted the solution. Smartly adjust brightness by connecting built-in brightness sensors with third-party traffic and people flow sensors, or based on weather and other environment conditions. 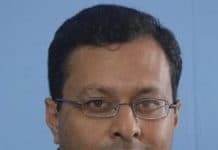 For instance, automatically reduce street lamp brightness or only switch on every other lamp at midnight when traffic volume is low; or turn lamps on when there is poor visibility such as on rainy days. Huawei’s solution adopts a GIS-based management system, which displays comprehensive information about the street lamps, including the number of lamps in each street, their current status, as well as their installation position and time. Using this solution, one person can manage thousands of lamps in different streets. When a street lamp malfunctions, the system is automatically alerted and sends a message to notify maintenance personnel. Additionally, the solution provides full lifecycle management to prevent potential malfunctions. This reduces the need for on-site inspection, cutting manpower costs while improving management efficiency. Traditional street lamps are controlled collectively at a central point, and cannot be controlled individually. A system failure in this scenario could result in massive energy wastage, such as street lamps being turned on during bright sunlight. Huawei Connected City Lighting Solution addresses this challenge by providing multi-level smart controls, which comprise network smart controls on the first level and local smart controls on a secondary level. 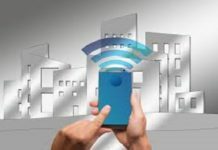 The agile IoT gateways and street lamp controllers are equipped withlightweight components to execute lighting policies and deliver a two-level localized decision-making mechanism. When the uplink network of agile gateways fails, local control protocols are enforced. Therefore, if the 6LoWPAN sensor network fails, street lamp controllers can work offline and function independently. Multi-level smart controlminimizes the lamps’ dependency of centralized controls, thereby increasing flexibility and reliability. 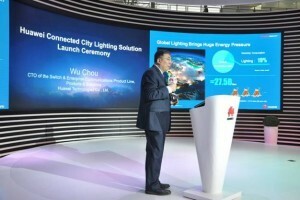 Commenting on the role of Huawei Connected City Lighting Solution to drive Smart City development, Wu Chou, CTO of Huawei Switch and Enterprise Communications Product Line, said, “Since the launch of Huawei Agile IoT Solution in May 2015, we have delivered several successful applications, including the power IoT solution, smart building solution, and smart stockbreeding solution. 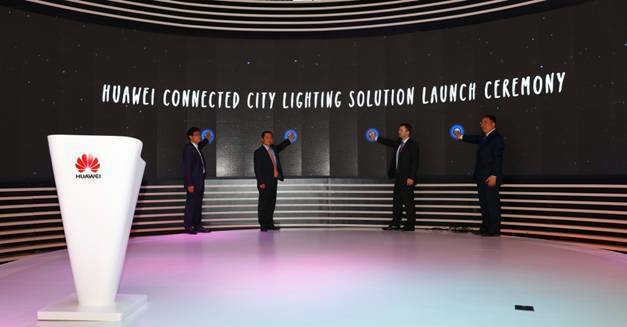 Huawei Connected City Lighting Solution is another powerful application of Huawei Agile IoT Solution, and an important advancement towards a truly Smart City. Lighting IoT lays a solid foundation for the integration of a variety of sensors, to facilitate functions such as environmental and transportation monitoring, and installation of smart charging facilities and intelligent rubbish bins, providing Smart City development with valuable big data and integrated interaction to improve citizens’ lives.